Hit the road and head to beautiful Hawke’s Bay, where you can drink scrumptious wine in the sun and enjoy some of the finest dining in New Zealand. Things to see and do in Napier and Hastings and the surrounding area. Long hours of sunshine enhance the physical beauty of Hawke’s Bay. It ripens the fruit on the trees and flavours up the grapes that have earned the area a reputation for some of the finest wines in the land. 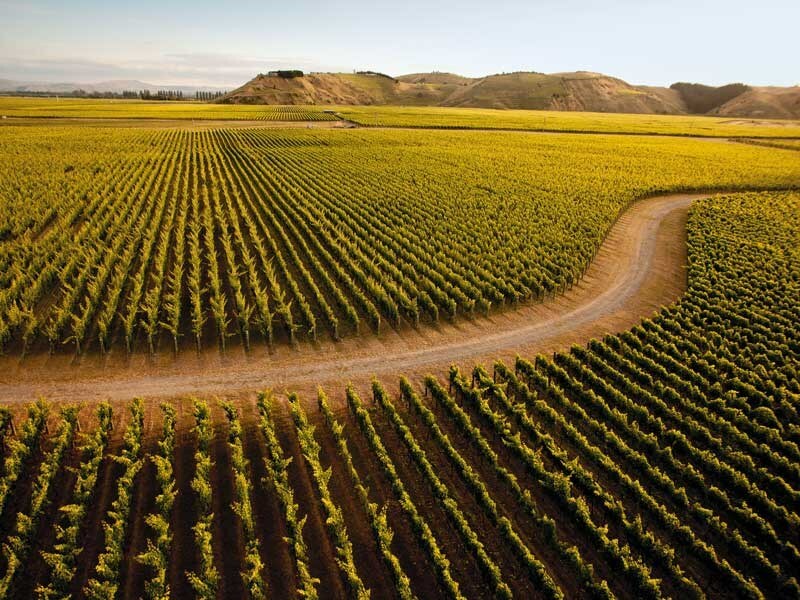 Rich soils of a wide alluvial valley slung between the inland Ruahine Range and the coastal bight of Hawke Bay is not only one of the most bountiful areas in the country, but one of its most beautiful. Muscular hills enfold the plain and expand into high, rugged ranges that are often snow-covered in winter. Three great rivers – the Tuki Tuki, Tutaekuri, and Ngaruroro – slither on their stony beds to tip into the ocean. The lofty cliffs of Cape Kidnappers mark the southern margins of the bay, and seas beat their endless rhythms on the sand and stony shores. Nowadays, it’s the fruits of Bacchus that dominate images of the bay. As anybody who loves wine knows, the finest wines are made in special places where climate and geography have conspired to create excellent growing conditions. Around the vineyards has evolved a culture of haute cuisine and for the bon vivant, nothing compares to dining close to an excellent vintage. For those who prefer to cook their own, outlets for fruit, vegetable, meat, and fish overflow with the harvest that this corner of the country yields. There are two main cities – Hastings was established in 1873 as a speculative venture by a handful of local landowners, and Napier as the region’s export port. It is ironic that the two cities characterised in part by their gentleness, owe their personalities to the greatest shock (until recent events in Christchurch) that New Zealand had ever had – the Napier earthquake of 1931. As more and more people discover the advantages of living in a place that seems to have it all, the old conservative attitudes have melted away and the area has become further enriched with the cultural pursuits of music, theatre, art, and craft. 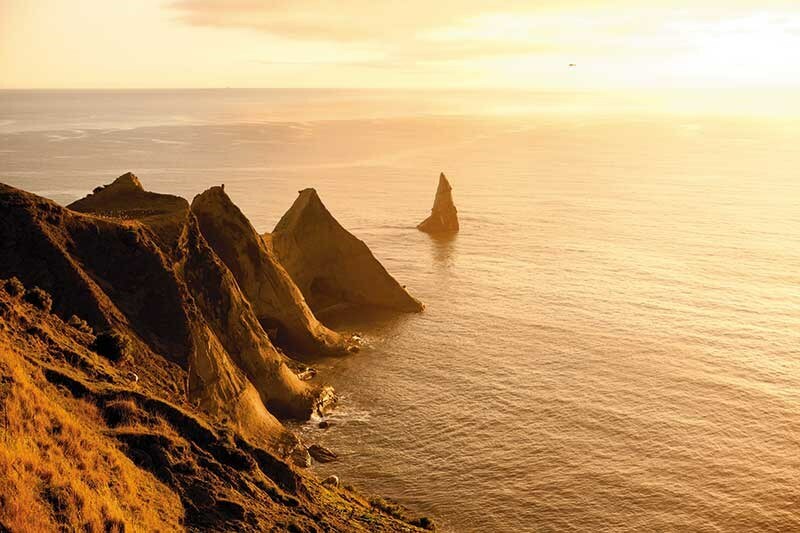 All this has made Hawke’s Bay irresistible to travellers and the people who live here have come to believe that the best things in life are at home. Art Deco Tours, Napier: there are guided walks, and vintage-car tour combinations to see the Art Deco, Spanish Mission, and Stripped Classical buildings of this amazing city that was built after the 1931 earthquake at the time of the Great Depression. 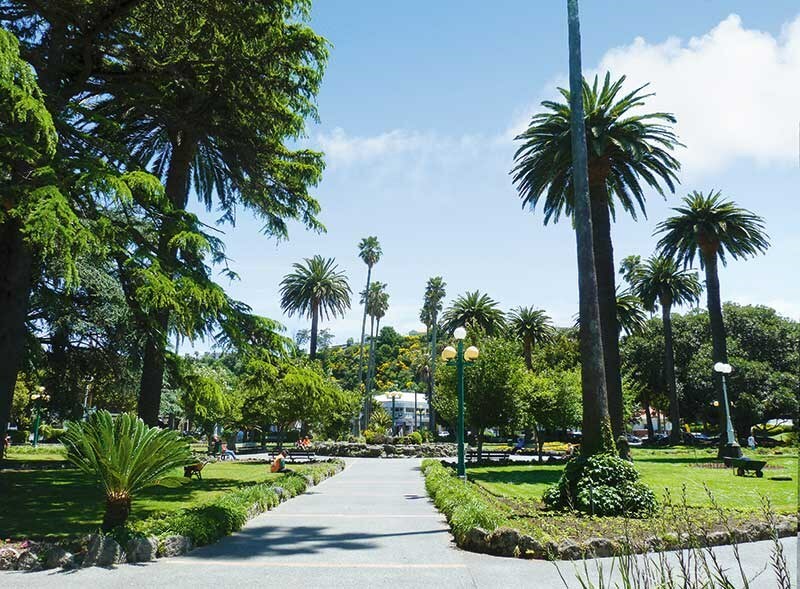 Spanish Mission Walk, Hastings: every Saturday and Thursday a one-hour walking tour takes in the Art Deco, Spanish Mission, and Stripped Classical buildings of Hastings, built after the town had suffered a similar fate to that of Napier in 1931. Hawke’s Bay Opera House: this revamped theatre in a Spanish Mission building in Hastings is something to sing about. It is one of the architectural gems of the region. MTG, Hawke’s Bay: in the heart of Napier’s cultural precinct, it is made up of a museum, theatre, and gallery, each building with a distinct character – art deco, modernist, and a light-filled gallery looking out across the bay. Te Mata Peak: drive (with care) to this high point behind Havelock North, from where there is an amazing view over the Heretaunga Plains to the great circular arc of Hawke Bay and back to Napier Hill. At the entrance to the peak a board indicates the many walks through the reserve. Cornwall Park, in the centre of Hastings, has lovely gardens and ponds and a collection of caged birds. It’s a favourite for evening strolls or a bit of exercise in the morning. 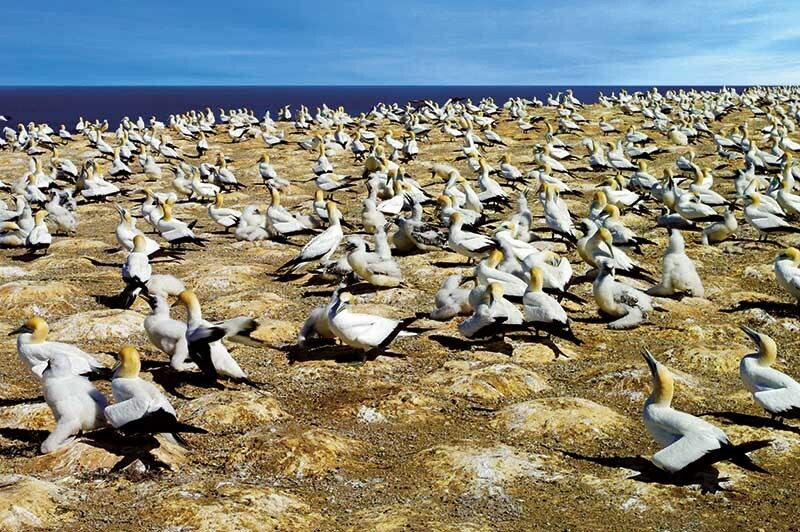 Cape Kidnappers Gannet Colony: there are several ways to get there – on Shank’s pony or by tractor along the beach with Gannet Beach Adventures (it’s important to check the tides) or overland in a 4x4 tour bus with Gannet Safaris Overland. The National Aquarium of New Zealand houses a good collection of Pacific Ocean fish species, you can swim with sharks, view the charming little sea horses, and walk the underwater tunnel. There is also a kiwi house and a penguin enclosure. Splash Planet, Hastings: this vast water-themed fun park is crammed with exciting water type activities suitable for all ages. There are all manner of slides, large swimming pools, and quiet ponds. Faraday Centre, Napier: an enthusiastic display of old, including engines, early refrigerators, kettles, stoves, an old school dental clinic, a telephone exchange, typewriters, a Doppler effect machine, and a pianola – to name just a few. Napier Prison closed in 1993 but it re-opened in 2002 for curious travellers and locals who are now entertained with stories of notorious deeds, of gangs, kingpins, scammers, ghosts and famous prison escapes. Church Road Winery, Taradale: take a tour or visit one of the oldest wineries in Hawke’s Bay and the museum where some of the oldest relics of winemaking in New Zealand are on display. The Mission Estate: New Zealand’s oldest winery – its elegant and extensive old seminary building and grand garden has been restored. Call in for a taste of wine and dollop of history. Silky Oak Chocolate Museum: part of the complex that comprises a chocolate factory, shop and cafe. Chocoholics can learn about chocolate making, which has a history almost as rich as its taste. The Hastings Farmers’ Market: held every Sunday morning at the Hawke’s Bay showgrounds just outside town – a great place to have breakfast. A Village Growers Market is held in Havelock North every Saturday morning during summer at the Black Barn vineyards. Crammed with fresh produce including vegetables and fruit, bread, flowers, and locally-roasted coffee. Viv Haldane winds back the clock at The Faraday Centre in the art deco city of Napier.